Someone tweeted how Obama had just signed a five year extension of Bush-era warrantless wiretapping. It was not long after Instagram had announced they were going to sell people photographs without their permission. The tweeter noted how there was a huge uproar about selling photographs without permission, but warrantless wiretapping hadn’t raised a peep. 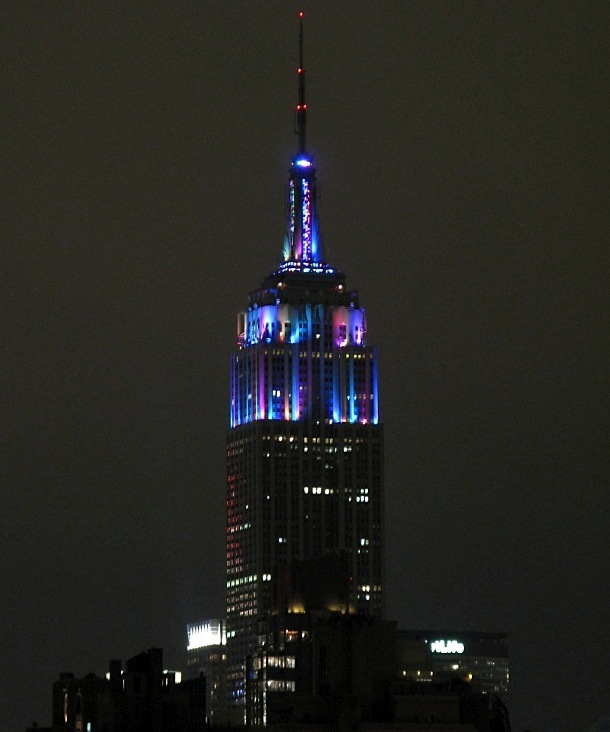 The Empire State Building on New Year Eve. If you didn’t watch my movie of this you might want to, because it was a beautiful light show.